This prestigious project involves the planning and design of the pension fund development of block - 3a, situated at the central commercial area of the Riyadh diplomatic quarters. 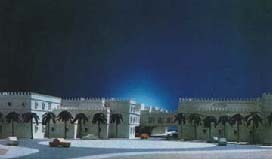 And forms a strong attraction for the public and supports the important prestigious elements of the Riyadh diplomatic quarters. 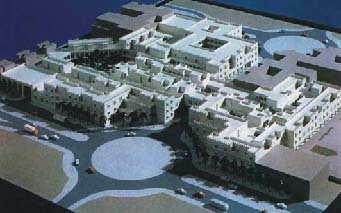 Preparation of alternative Master Planning and Building Concepts. Cost estimate and phasing program.